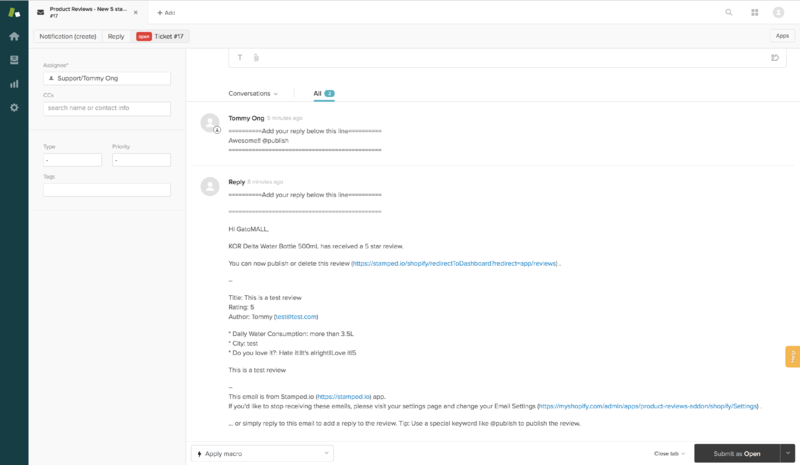 Integrate Stamped.io's review collection process with Zendesk to allow for a seamless management of reviews from customers, including replying to queries and handling negative feedbacks. 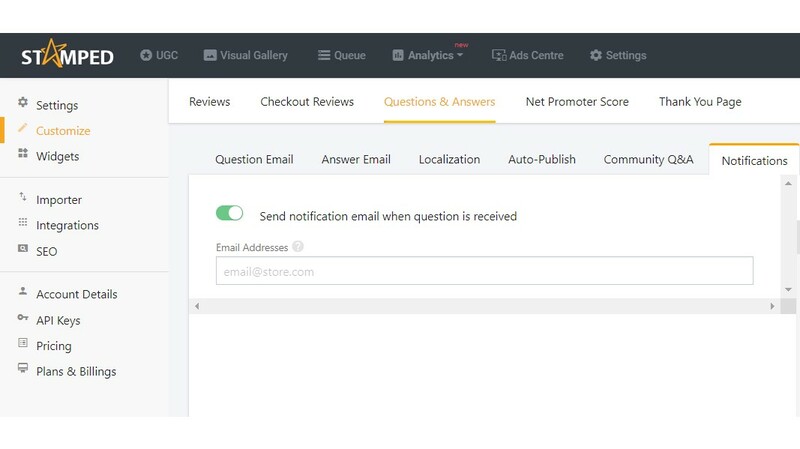 Use your respective Zendesk email as the appointed notification email to receive Question and Answers inquiries and to be alerted about Low Rating Reviews. To change the email for Questions and Answers please visit Dashboard Settings -> Customize -> Questions & Answers -> Notifications. 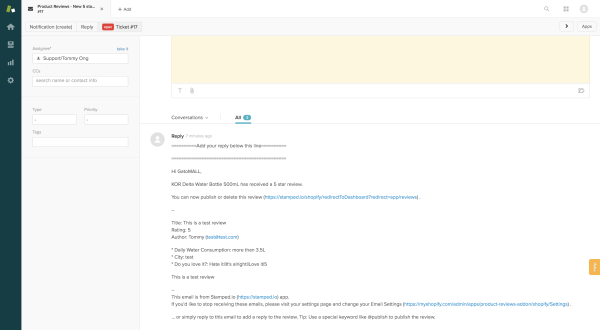 Stamped uses programmed commands to change the status of a review within an email reply. These commands start with an @ symbol. This allows for customer service staff to reply to reviews via helpdesk app directly. More than one command can be used by placing a space in between the commands. Stamped.io @ commands are case sensitive! Always use lower-case. @ commands can be placed before or after a text reply. If no text other than an @ command is included in the reply, a “blank” comment will be created. Using @private will prevent the blank comment to be published publically. It can also be used with @email to send a customer an email reply without posting the reply publically. The example above will add the reply to the reviews, set the review as published and will be emailed to the customer. If you've any questions, do contact us at hello@stamped.io.